Perfectly clean wheels at the push of a button? 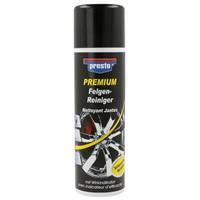 No problem with the new, high-quality presto PREMIUM wheel cleaner. Thanks to its innovative formulation with active indicator, this self-acting removes stubborn dirt and is absolutely acid free. Therefore, the cleaner is suitable for all aluminum, steel, chrome and polished rims or wheel covers. 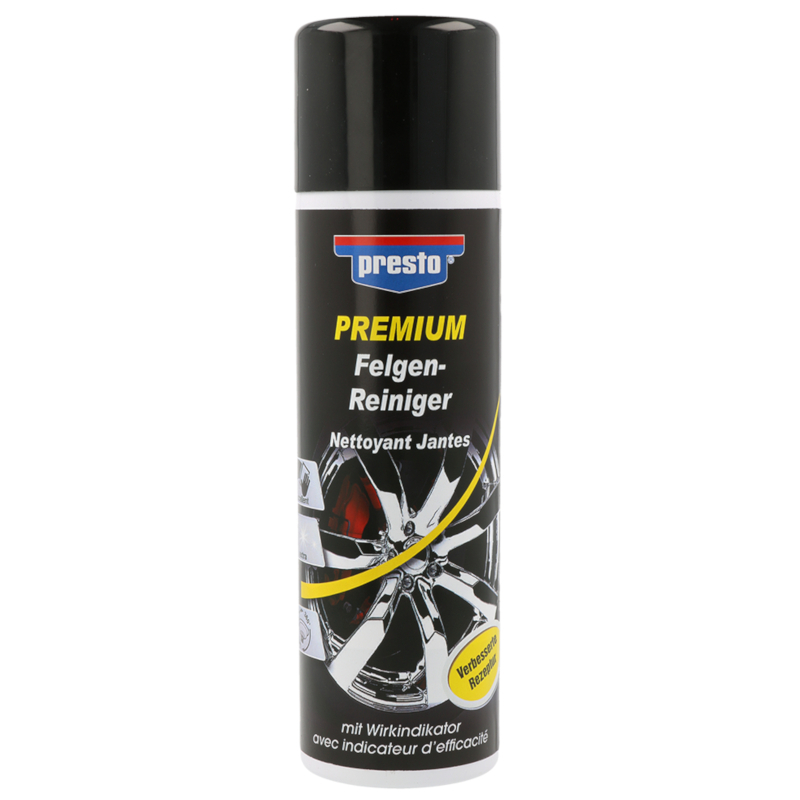 The application is very simple: presto PREMIUM Apply evenly. Depending on the degree of soiling, the red coloration (active indicator) is set shortly after the application of the cleaner and indicates the activity of the product. Finally rinse with water and your rims shine in new splendour!